The other day I took all of my decor out of the closet under the stairs where it is stored, got rid of what I no longer want, and re-organized what was left. This was one of those things I haven't used in my decorating since I went through the Tuscan gold paint on my walls phase. Decorated in a way that's not really you because everyone else was doing it? 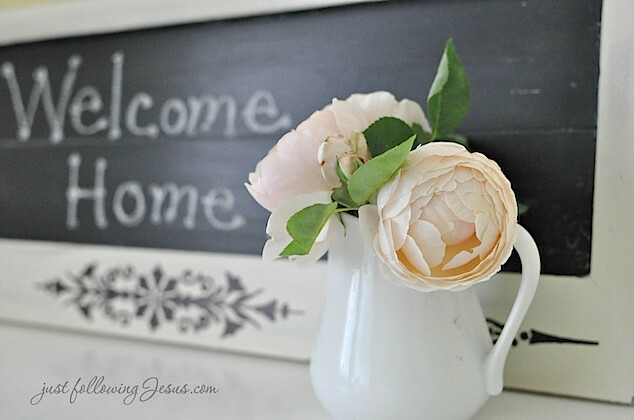 I am such a country farmhouse, beach cottage decor kind of girl, and feel much more me with my now soft gray walls and white trim. 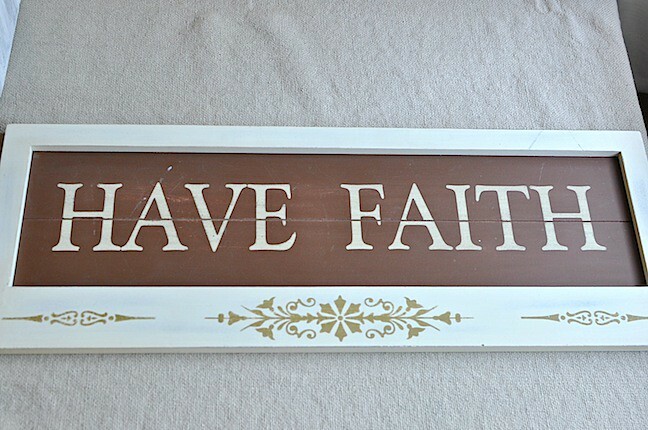 Anyway, all that to say, this sign didn't really go with my house the way it is now. So I simply colored over the gold squiggly-doos with a black sharpie, then painted the inset with three good coats of chalkboard paint. It's sitting in it's temporary home on a shelf in the spare room. My daughter and her family are coming home from Ghana on Friday! They will be here in the U.S. raising money and planning projects and will go back and forth to Ghana as much as possible. We are digging a deep water well and building an irrigation system for the village of Homabenase, Ghana, West Africa. 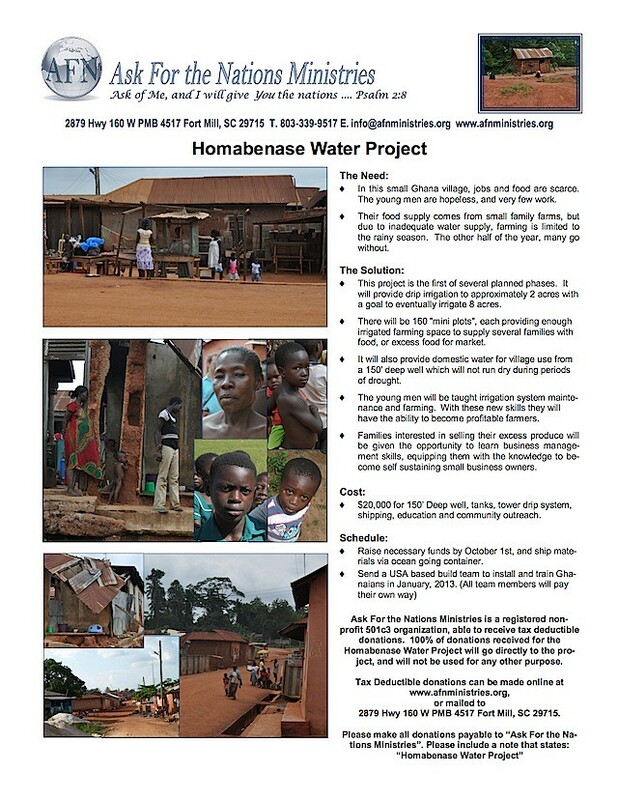 Click on the link Ads for Missions here or under my header if you want to see a way you can help with the well for Homabenase project while promoting your blog, online shop or etsy shop. Well, it's almost Friday friends, and let me tell you, this Nana is gonna be smothering those two grandkids who've been in Ghana with lots of hugs and kisses, making all of their favorite foods and spoiling them rotten! That is just so great. I am very happy for you and hope that you all have a blast. Oh, joy! Your dear ones are coming home! I'm thrilled for you and will pray for safe travels for them and precious times together with you. I like how you repurposed the sign! It's a very creative idea that I will have to tuck away. I really like the new "repurposed" sign. So glad to hear your family is coming in from Ghana. Enjoy your time with them. Oh how exciting that your daughter and family are coming to see you! You are gonna have a blast catching up with them. I love your sign, its very warm!! 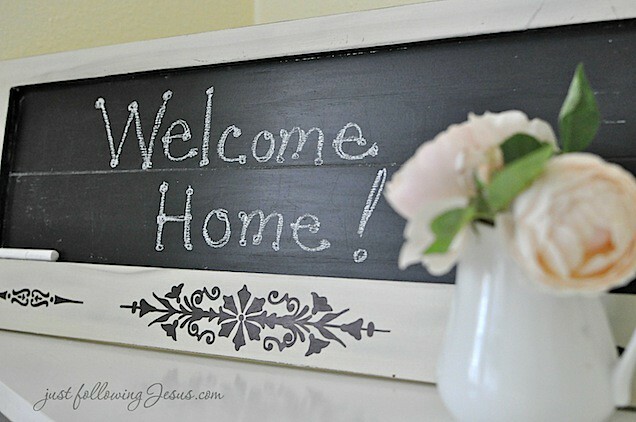 The chalkboard is beautiful! And how wonderful that your daughter and her family are coming. Praying for their safety & continued $$$ support for them, etc. 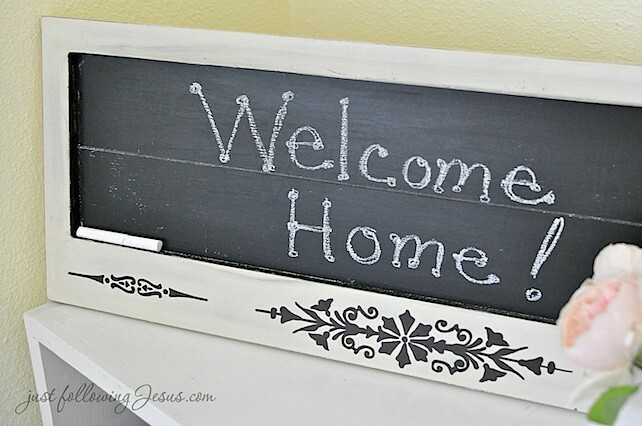 I love the new look you gave the chalkboard..and yes, I've done the gold thing too, lol! You must be very proud of your dear daughter and family. Have a beautiful reunion with them and a very blessed weekend! 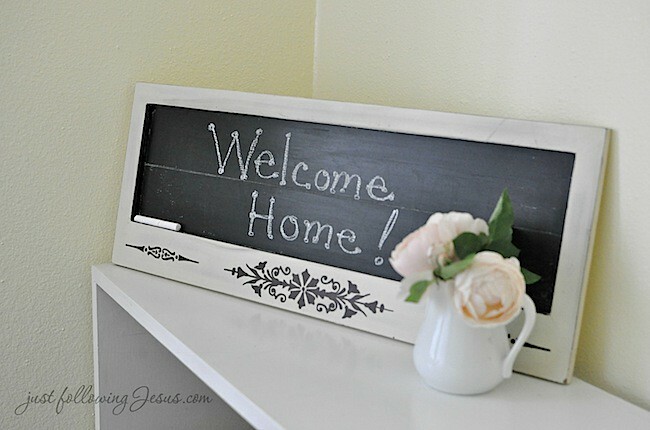 I really love your new project, the chalk board is so pretty. I'm getting to change wall color too--need something new. Our church is affiliation with Angel Missions--in Africa to build wells too. 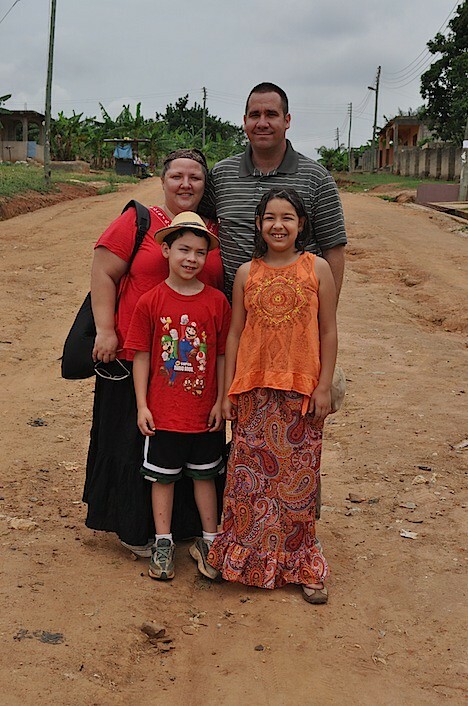 Our Senior Pastors daughter and her husband have built several homes and schools or the orphans of Afica. Wonderful work--I'm sure you are so proud of your children.